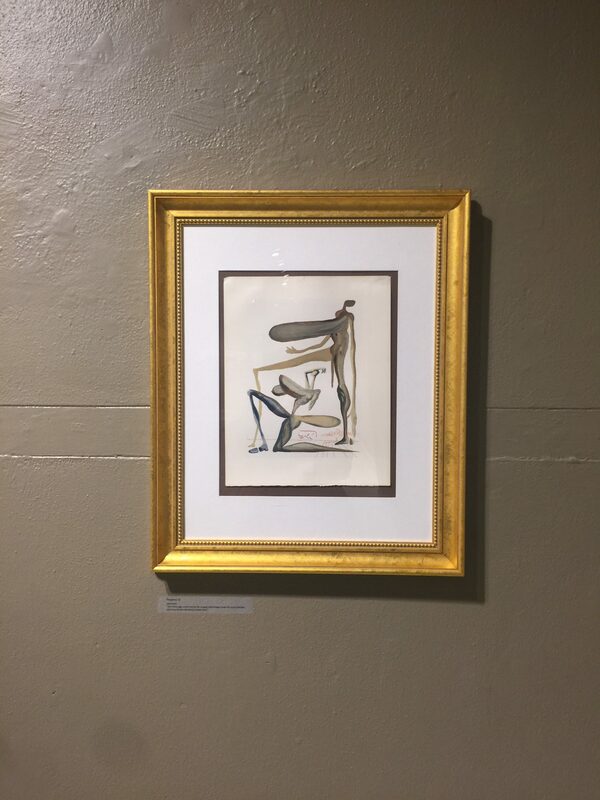 Art and literature unite at the ETSU Reece Museum’s Salvador Dalí Exhibit. The exhibit, which has been open since April 5, depicts the paintings of famous artist Salvador Dalí. His works interpret the events taking place in Italian poet Dante Alighieri’s Purgatorio’s work. Alighieri’s work is a three-part poem from the year 1300, consisting of Inferno, Purgatorio and Paradiso, and tells the tale of his journey into the afterlife. He encounters sinners from all walks of life on his voyage alongside his guide and idol, Virgil. Dante’s Divine Comedy consists of cantos for each of the three-part poem of the poet’s journey. A canto, similar to a chapter, divides up long parts of poems. Throughout the years, artists like William Blake have been known for their artistic representation of Dante’s Divine Comedy. Dalí, a Spanish artist, began his interpretation of the classic back in 1951 and took three years to finish. The Reece Museum previously showed the Inferno last year and will bring in the Paradiso next year. Spenser Brenner, exhibition coordinator at the museum, said Dalí faced controversies in the decades that followed his illustrations. Brenner explained that the blocks were painstakingly printed and then destroyed immediately after they were used. According to Brenner, Dalí’s answers on his knowledge of Dante varied from not being an expert to loving the poet. One painting in particular raising eyebrows was the one that is labeled for canto 17. It depicts an arachnid, which famously is only described in canto 12. The debate over the appropriate placement for this piece could go either way. To garner more information about the paintings and their relationship to the words of Dante, the museum included the works of a campus English course taught by Joshua Reid, which was dedicated to the poet’s Divine Comedy. Students in Reid’s class, who have read the poem, were assigned paintings to interpret. The students made comparisons between Dali’s art in relation to Dante’s words, focusing on aspects like colors and imagery. They were asked to write an excerpt analyzing what they saw in the painting with their knowledge of the poem in mind. Showcasing the work, the Reece Museum held a reception for exhibit on Saturday, April 15. Attendees included Frank Barham, an ETSU alumnus and the donor of the paintings. Giving thanks and presenting a speech at the gathering, Barham wanted guests to enjoy the artwork. Recognition was also given to the students who described the cantos; a list of names of those who contributed can be found at the entrance of the exhibit. A talk pertaining to the exhibit was given on April 18 by Reid, who could not attend the reception. 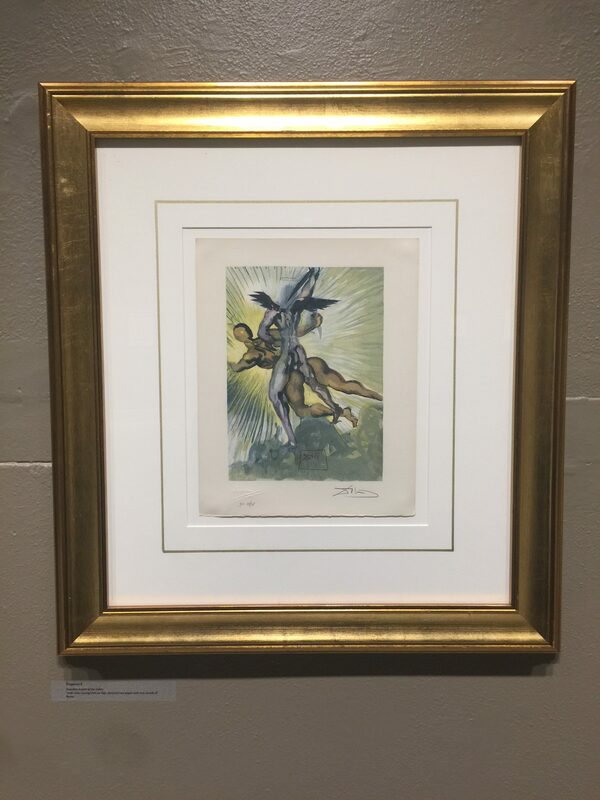 Brenner hopes to compile a reference book of the Reece Museum’s Divine Comedy with literature students to act as a catalog for future art gallery recipients of Dali’s paintings and serve as a resource. The exhibit will remain open until June 30 in the Reece Museum. It is free to the public.